The basic recipe for the stuffing was 25 lb of ground venison, 10 lb of ground pork (our deer comes very lean and fat free around here), bologna spices, and a proprietary hot pepper blend for some kick. 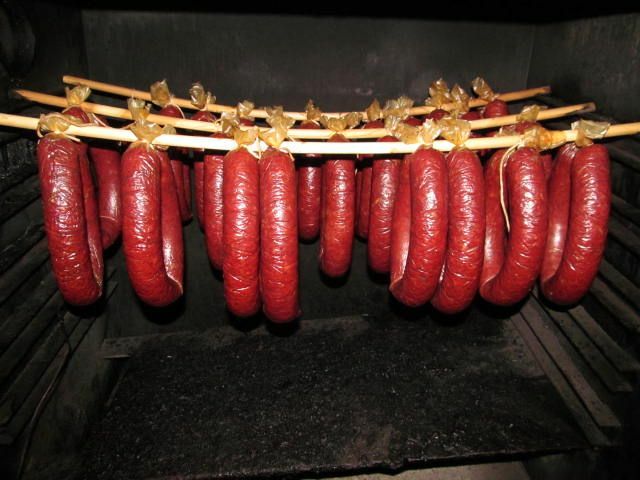 Just stuff in natural casing, tie off the ends, and bring to an internal temperature of 155 F in a 190 F oven. 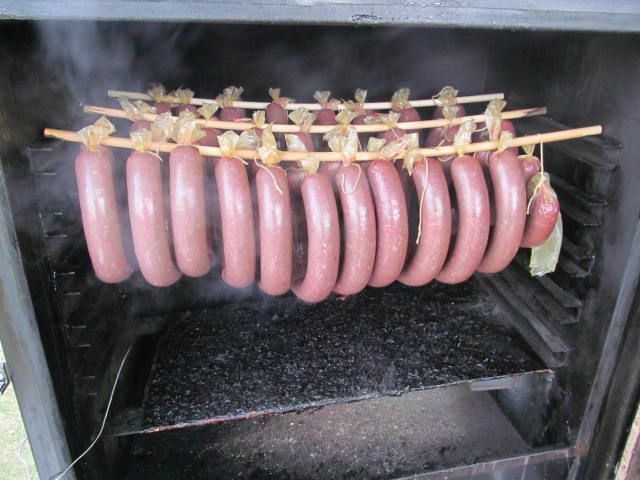 I chose oak wood for the bologna because oak mingles very well with pork fat. The smoked added a nice deep red color to the bologna. We placed the bologna in a cooler and covered with ice to stop the cooking process. When he got home, my friend individually vacuum packed each ring and froze to enjoy throughout the year. We sliced one for our enjoyment and some quality control. The pepper blend added a nice kick to the bologna goodness. I would love to fry up a few pieces for a nice sandwich. The oak flavor was present, but not overpowering. A nice accompaniment with the spices added to the meat. Overall, Larry said it was the best deer bologna he had ever made. Another satisfied customer! Oh deer that is a lot of sausage. It is always nice to have friends.